Manage the entire student lifecycle through a tailor-made solution that meets the unique needs of both higher and vocational education institutions. Improve student recruitment and admission processing. Engage and retain existing students. Interact with alumni and empower staff, partners and students through any time, anywhere self-service access. TechnologyOne is closely engaged with our tertiary education customers and has a detailed understanding of the demands placed on an institutions' Student Management software. 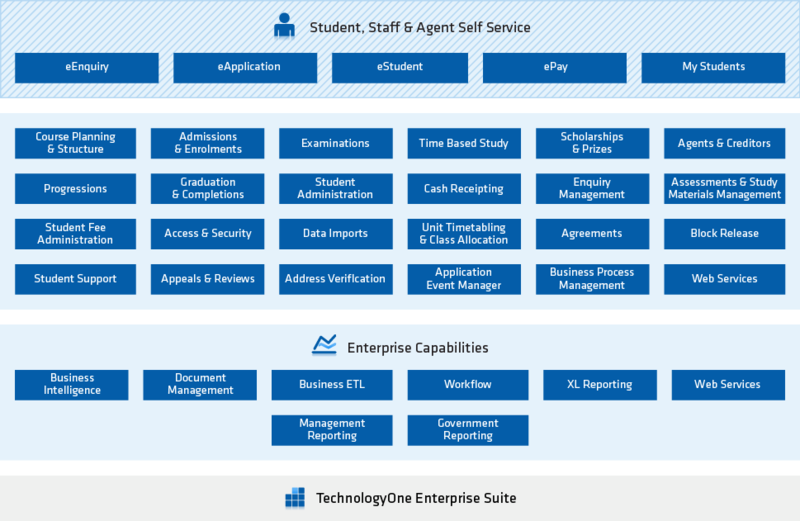 TechnologyOne Student Management provides a total solution which enables students, academics, administrators and partners to connect through the one application.